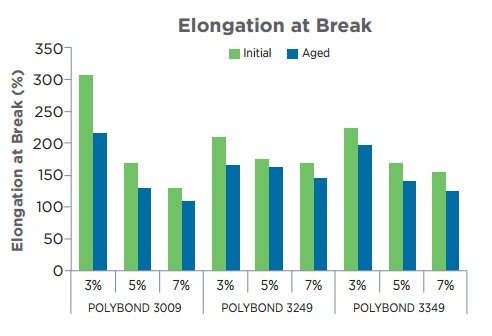 HFFR solutions require high loading rates (>60%), negatively impacting polymer performance. 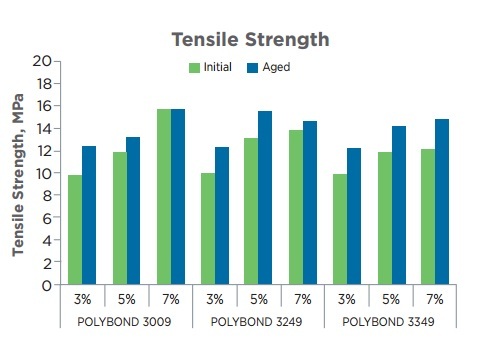 The new PB 3249 and PB 3349 allow for high load rates of HFFR without sacrificing tensile strength, tensile modulus and elongation properties of your compounds. How? They aid with dispersion and adhesion of the HFFR, helping to regain the physical properties of the base polymer and improve overall performance. 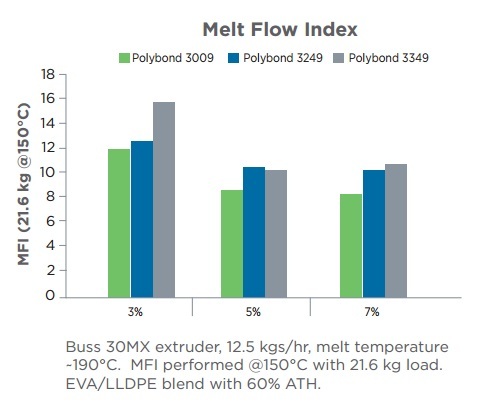 All samples prepared on a Buss 30MX extruder, at 12.5 kgs/hr, with a melt temperature ~190°C. Aged samples were oven aged for 10 days at 100°C. Mechanical properties measured with 250 N load cell and separation speed of 250 mm/min. EVA/LLDPE blend with 60% ATH. 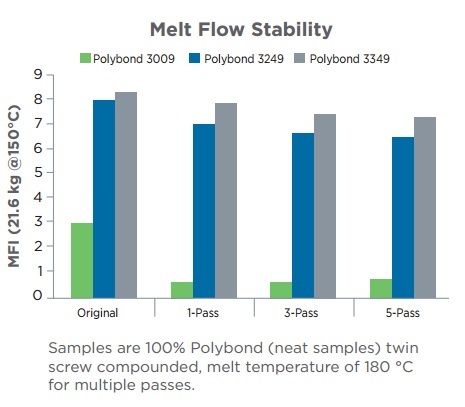 Let Addivant's broad range of Polybond® Polymer Modifier solutions improve the performance of your HFFR wire and cable compounds.